Every year, expatriate magazines scan the globe in order to find the world’s best cities. Catering to a traveling professional crowd and focused on living and working overseas, the best cities in the world tend to be a mishmash of European culture centers, South Pacific relaxation spots, and high-tech East Asian financial centers. Green spaces are common, civil services are expected, and salary rates tend to be fairly high. But what about the other half? The worst cities in the world rarely get documented, especially from an expatriate’s point of view. Alongside the world’s cities of beauty and commerce, there are centers for air pollution, economic depression, and misery. We’ve tracked down seven cities that you don’t want to move to, each for a different reason. If you’re longing to get out of town and move overseas, by all means consider it. Just don’t move to one of these cities. Note: Cities affected by war, such as Kabul or Baghdad, have been excluded. 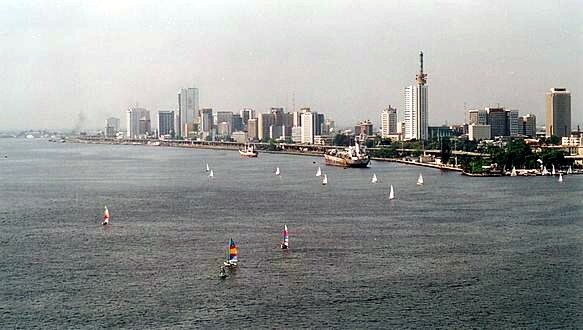 Lagos is Africa’s second-largest city, an urban giant suffering from some of the worst overpopulation and infrastructure issues in the world. With over fifteen million residents and a highly inefficient road network, the city’s traffic and pollution can certainly get on the nerves. But despite Lagos’ obvious third world infrastructure issues, the city is on the path to improvement. Nigeria is quickly becoming one of Africa’s most economically effective nations, and Lagos appears to be improving its act. While this polluted city certainly isn’t the ideal place to live right now, we could soon see it become one of Africa’s best cities for expatriates. Soot, smog, and smoke. Linfen is an industrial city of four million located in the center of one of China’s most important energy production regions. It’s also one of the most polluted cities in the world – a metropolis where asthma is common and pollution-based illnesses are present in alarming numbers. While breathing masks are a common sight in cleaner Chinese cities such as Shanghai and Hong Kong, in Linfen they’re an absolute necessity. The air quality is reportedly the lowest in the world, with residents inhaling more toxic substances daily than a chain smoker. Residents complain of frequent sickness, which many believe is caused by the poor air and dangerously polluted water. Forty years ago, Detroit was the center of North America’s powerful automotive industry. The city pumped out thousands of vehicles weekly, growing into one of the most important production centers in the Western world and an image of economic success. However, following the failure of America’s biggest industrial companies, the city quickly fell from grace. Today, it’s one of the most violent and unpleasant cities in the United States. Home prices are a fraction of what they once were, with large family properties selling at a median price well under ,000. Derelict construction sites litter the city’s skyline – a sparkling lakeside stretch that was once the envy of the country. Riyadh is a bizarre mixture of development, economic progress, and harsh Muslim laws. The city is one of the most strictly Islamic areas in the world – home to true Sharia law and intense penalties for misbehavior. While expatriates are often happy to accept postings in the city, it tends to be with different motives than recreation; job postings in Riyadh pay well out of necessity, not out of choice. The high salaries and strict laws lead to an interest paradox in Riyadh; expatriates celebrate the income on offer in the city, yet live in fear of its bizarre laws and strict penalties. Alongside the harsh desert climate, Riyadh’s combination of strict Islamic culture and limited entertainment make it one of the least pleasant expatriate destinations around. Expatriates are a relatively new phenomenon in Pyongyang; the North Korean capital houses very few non-Korean residents, with the small number of foreign teachers and diplomats working in the city temporarily and possessing only the most basic visas. One of the most ethnically pure and oppressive cities on earth, Pyongyang certainly isn’t a hub for international visitors, and for good reason. Aside from the city’s rundown appearance, life in Pyongyang is relatively dull and uninteresting. Internet access is restricted to government employees and special figures, cellphones are banned, and photography is only accepted in designated areas. 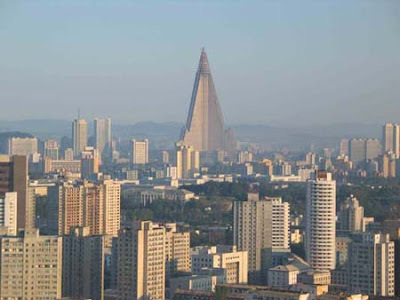 Aside from a handful of English teachers, expatriate life in Pyongyang is limited to diplomats and temporary visitors. Athens is home to ancient ruins, stunning waterways, and amazing architecture. Unfortunately, it’s also home to some of the worst air pollution in Europe. While city officials have improved Athens’ air quality from its destructive days in the early 1980s, the city still suffers from a dull grey haze on certain days – a phenomenon that’s slightly uncomfortable when observed alongside ancient ruins. Add in the city’s ongoing social problems and you’re left with a particularly nasty place to live. Greece’s many islands offer paradise and relaxation for expatriates and foreign visitors, but Athens is a destination best avoided, at least if you value your respiratory abilities. According to The Economist, Port Moresby is one of the world’s least livable cities. The Papua New Guinea capital suffers from some of the worst violent crime in the world, with carjackings and assault a relatively common occurrence. Residents complain of corrupt and uncaring police, while local gangs cause long-term issues for businesses and foreign visitors. But despite the unhappy surroundings and limited infrastructure, Port Moresby is moving forward in the world. The city’s economy – by far the biggest in Papua New Guinea – is growing rapidly, and poverty is decreasing as the years go by. For now, Port Moresby is best avoided, but in the future it could offer an attractive tropical living option for residents of nearby countries.